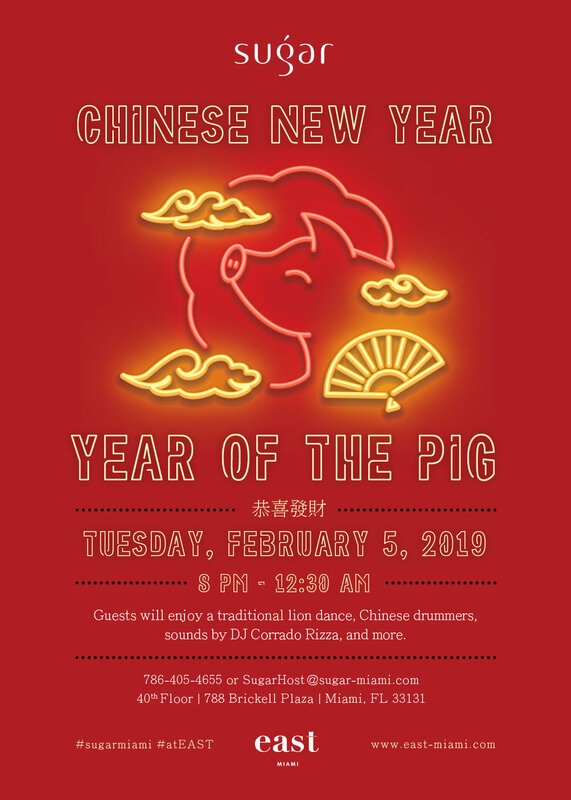 Join us as we celebrate the Lunar New Year, the Year of the Earth Pig at SUGAR. Guests will enjoy a traditional lion dance, Chinese drummers, sounds by DJ Corrado Rizzo, and more. Arrive early to get your Insta-worthy party pics! Reservations: 786-805-4655.